Overview – Why is it important? There is a world of opportunity waiting for you that will significantly improve your operations management and business results. Ask yourself: Have your logistics costs been rising as a percentage of your cost-of-goods sold (COGS)? Are you getting the right products to your distribution centers on time and in the right quantity? And, if so, have you considered supply chain solutions that can address the complexities associated with your global logistics management? The intrinsic costs of long-distance flow of goods and transportation capacity imbalances – both for domestic transportation in regions such as North America, and for international freight (ocean and air) from countries such as China. You would think that lower fuel prices would be able to offset this, but it has not happened to date. Supply lead times often have a high degree of variability, which can lead to poor on-time delivery performance, as well as unavailable products, components and merchandise. The variability in lead times stems from many factors, including: poor forecasting, drop in orders and competition for capacity. The impact of this is higher logistics costs from expediting or significant impacts on your delivery performance. 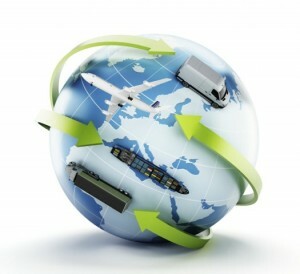 The global flow of goods requires multiple handoffs – including various carriers, customs and port authorities, and consolidators. And these hand-offs increase the probability of unexpected events. Growing import volumes, particularly from Asia, combined with important security concerns, have led to severe port congestion in North America and Europe. As companies conduct business in more countries, and as countries continuously change their regulatory and customs-clearance processes, delays occur during document compliance assessment and processing. Leading companies are leveraging several strategies to respond to the complexity of global logistics management in an effort to reduce logistics costs and improve service levels while still focusing on the “buy anywhere, sell everywhere” business model. As a result, global logistics are being optimized and becoming a more strategic business function at companies where it has not traditionally been a core competency. If you find yourself in this position and need to bolster your strategy, let us guide you through the basic steps in our next blog article – The Road to Global Logistics.